A sailing is drowned during the early hours of Monday morning in Himara. 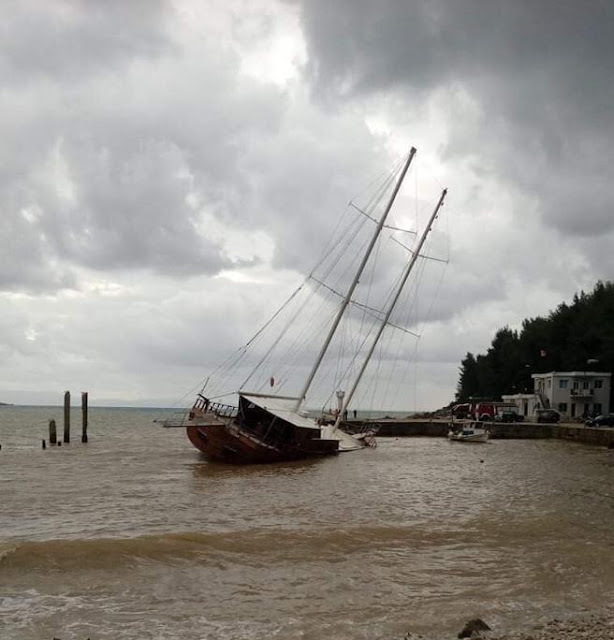 The sailboat anchored near the shore since the Summer Season, sank into the water because of strong winds. 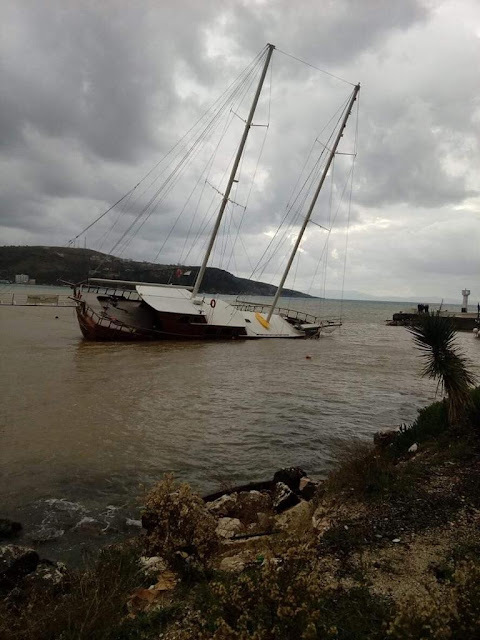 The boat was anchored at the Port of Himara and served for touristic trips during the Summer Season.